Another short one, another good one. This is Bappi Lahiri from before he went all disco, ie. before I lose interest in him... not that I don't like disco, I do a lot, just not his take on it. 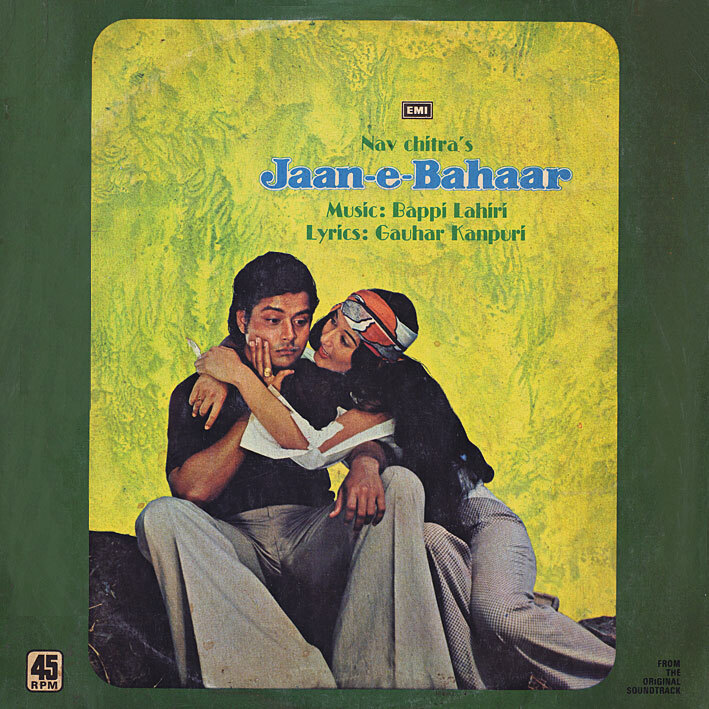 Anyway, good grooves a-plenty on 'Jaan-e-Bahaar', highlighted by the jazzy, cool (if not necessarily very original, but that's Bappi in a nutshell) 'O Go Piya', plus 'Main Hoon Rahi Mastana', fun and chirpy with nice instrumental details. 'Dil Mila Le O Abdulla' is worth a few plays too I think. hi, thanx for another one hindi gem! werd! Been waitin' for a good 'un! I can't thank you enough for this. I remember listening to 'Main Hoon Rahi Mastana' during my childhood years -- and I could not, for the life of me, find the tape that we had it. Had I found it, I would have digitized into MP3 format for me to listen to everyday. I have been searching for this album for the last decade (literally), even to stream from the web! I haven't listened to this song in probably 20 years and I have only you to thank.